Los Angeles faces a 53-hour traffic nightmare this weekend when officials shut down a ten-mile stretch of the 405 Freeway for demolition work. 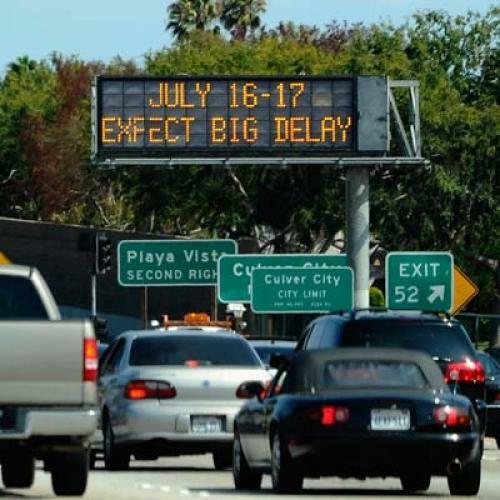 The impending gridlock, which has been cleverly dubbed “Carmageddon,” could shock even L.A. drivers already used to the worst congestion in America: One official at the California Department of Transportation has warned of backups up to 64 miles long. It’s too late to do anything about this weekend’s fast-approaching traffic crisis, but what can the city do over the long term to address its notorious congestion problem?